There is 4 additional images available. 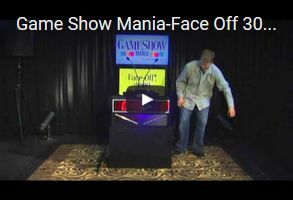 There is 3 videos available. 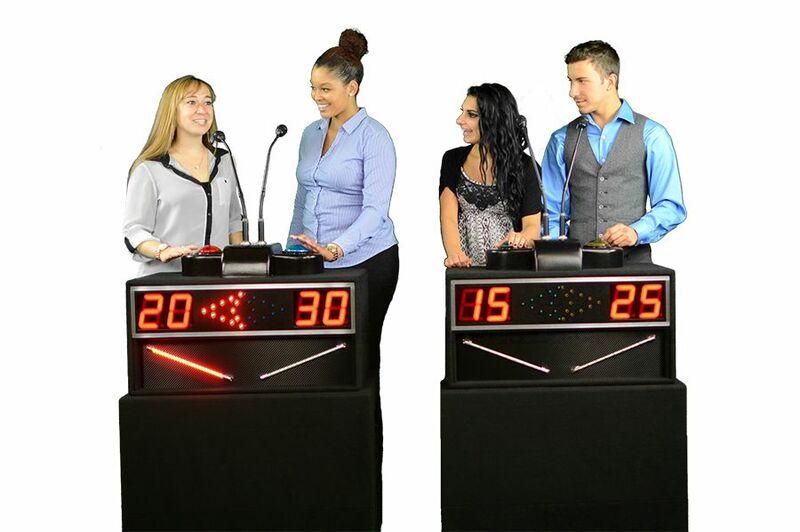 The Face-Off 3000 is a the hybrid of the smaller Face-Off and the traditional GSS-3000. By combining the two systems you get the best of both worlds! 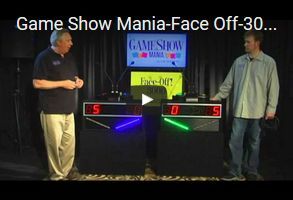 Like the Face-Off the Face-Off 3000 sets up and packs down in less than a minute but has the double digit scoring, LED player position lighting and a bigger footprint for more players like the GSS-3000. 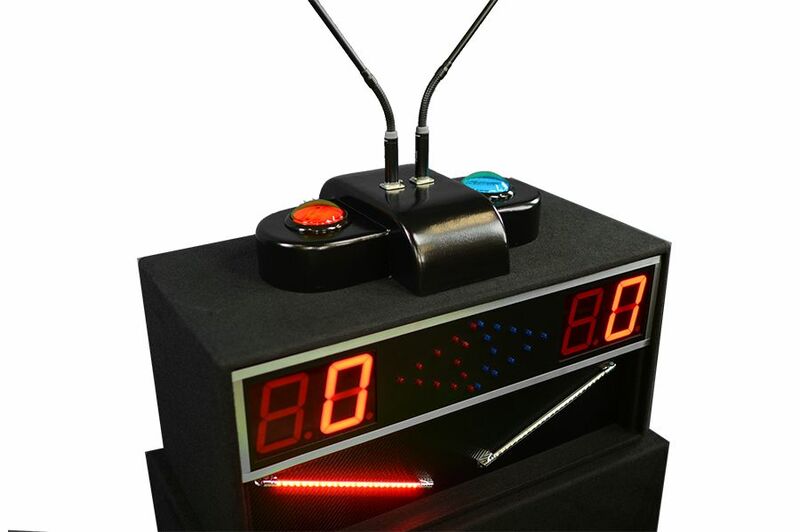 The lock-out feature built into the Face-Off 3000 means that when a player buzzes in, it will lock-out the other players allowing the host to know who buzzed in first. 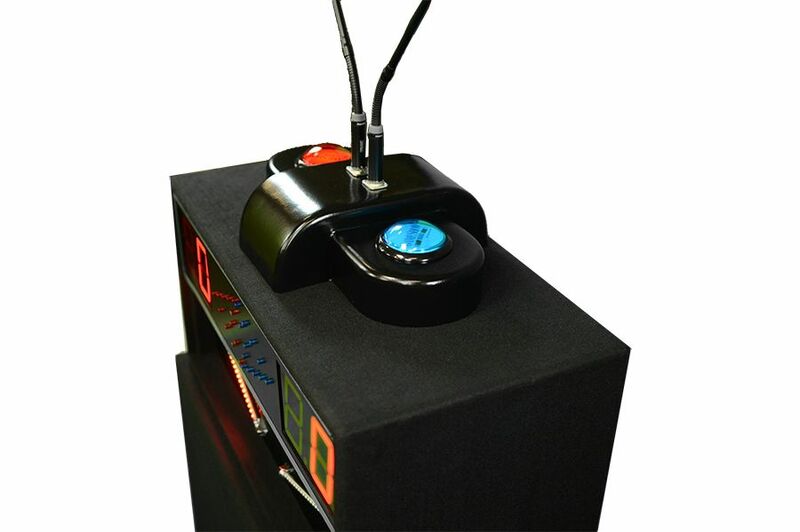 Along with the solid construction and durability of the Face-Off 3000, the system comes standard with the full player podium, 2 dynamic microphones, a professional grade DI box for sound filtering, a wireless remote, a backup wired remote and a user manual. 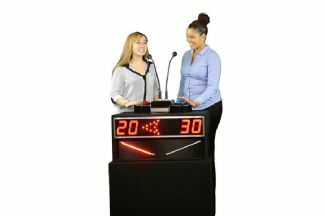 This system can be used in conjunction with software titles such as “Game Show Mania Deluxe” and “Fabulous Face-Off”. 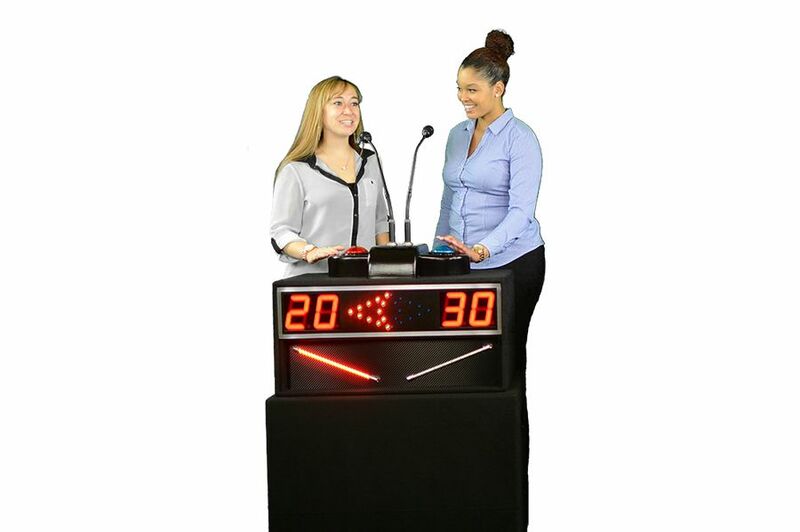 The Face-Off 3000 is a stand-alone system and will not directly interface with our software. All of our systems come with a one year parts and labor warranty and excellent customer support. 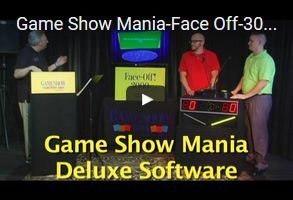 Road Case: Length:31.50" x Width:17.50" x Height:22"
Top Podium: Length:29.50" x Width:15.25" x Height:14.75"
Game Show Mania, LLC © 2019 All rights reserved.